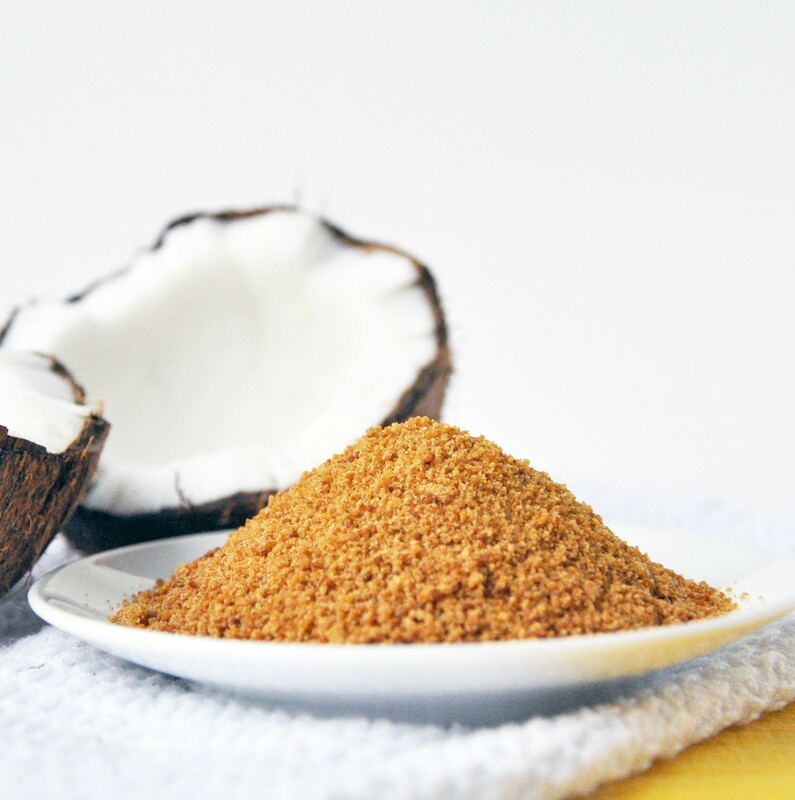 Coconut sugar has a low glycemic index and is also a nutrient powerhouse, filled with lots of vitamins, minerals and amino acids. Coconut sugar is minimally processed, unbleached and contains no preservatives. It has a low glycemic index of 35 making it beneficial for diabetics as well as non-diabetics. This sugar contains the minerals calcium, magnesium, potassium, zinc, iron, copper, manganese, phosphorus and boron. Coconut sugar also contains 12 of the B vitamins, including thiamine, riboflavin, pyridoxine, nicotinic acid, biotin, pyridoxal and inositol. It is especially high in the vitamin inositol, which is necessary for nerve transmission, metabolism of cholesterol and the redistribution of fat within the body. In addition, inositol has been used to treat diabetes, depression and panic attacks. Coconut sugar contains 16 out of the 20 amino acids. This sugar is especially high in the amino acids glutamic acid, which makes glutamine, threonine, aspartic acid and serine. Glutamine is very important for metabolic function. Threonine supports cardiovascular, liver, central nervous, and immune system function. Threonine aids in the synthesis of glycine and serine, two amino acids that help in the production of collagen, elastin, and muscle tissue. Threonine helps build strong bones and tooth enamel. It also speeds up wound healing after injury by boosting immune system. Threonine combines with the amino acids aspartic acid and methionine to help liver digest fats and fatty acids, which reduces accumulation of fat in the liver. This entry was posted on October 7, 2015 by thrivecoach12 in Nutrient Values, Sweeteners and tagged cardiovascular, central nervous system, coconut sugar, healthy immune system, inositol rich sugar, Low-glycemic index, nutrient powerhouse, Protecting Liver, vitamin rich sugar.